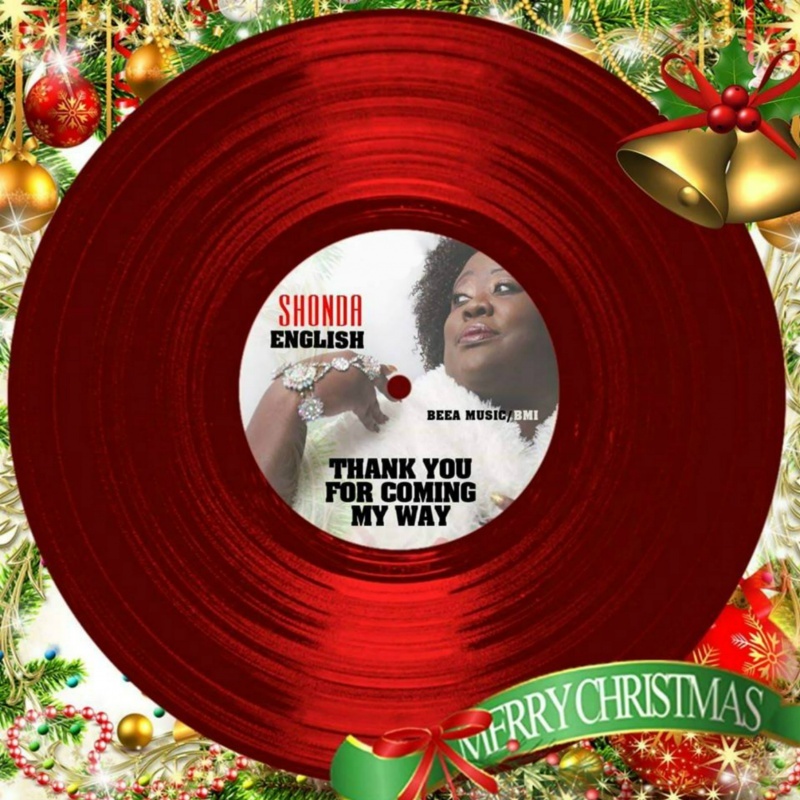 Singer Shonda English Releases New Christmas Single “Thank You For Coming My Way” | LISTEN! Sumter, SC – The song “Thank You For Coming My Way”, written by Shonda English and was created for the Christmas holiday season to celebrate Christ coming into one’s personal life, not just physically to earth. It has an upbeat 70’s feel; something The Emotions would probably sing. So in keeping with the “old school” theme, the cover is an old-school record. Now, just imagine placing the needle on the wax and wait for the rhythm to catch you. Trust us, it will. Shonda is gearing up to release her 2nd solo project,”Travelin”, which is scheduled to be released Winter 2019. She is dedicating this entire project to her father, Bishop W. T. English, who passed away on August 20, 2013. Being a “Daddy’s Girl”, she has struggled with getting back to work, but she knows that her father would have it no other way. In anticipation of the new project, Shonda encourages the listener, as well as herself, to keep “Going On!”. She urges you to pick up her latest singles which are available on all the digital music stores.